What an adorable little restaurant! We showed up right at 7PM for our reservation on a rainy Friday night, and it was jam packed! I thought people stays home when it rains? 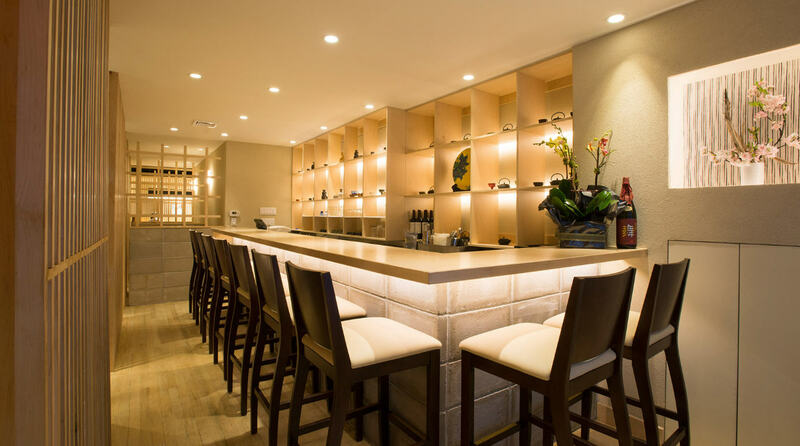 After passing through a very unassuming set of doors, you will find a nice little bar to your right. It’s a cute, but full sized bar for drinks and snacks. I’m not sure if the food menu here is a subset or not, but we did see people noshing, which is a nice alternative if you can’t get a table. If only they had TVs, we could become regulars here! You walk through the main dining room, where it seems most folks order cooked goodies, noodles and hot pots. 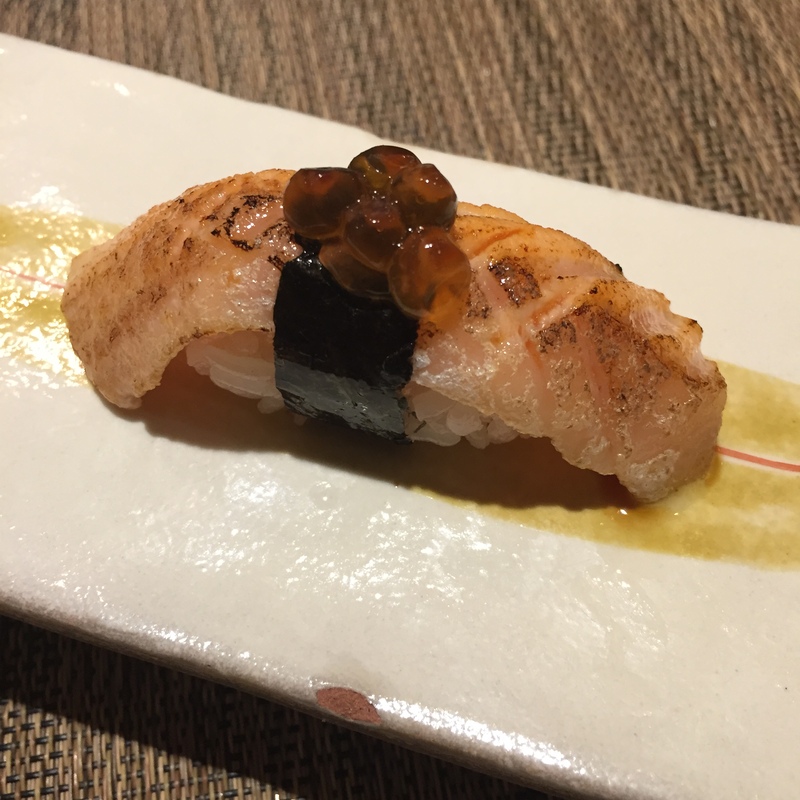 We were seated in the sushi section, where there was only 6 counter seats, and serves only sushi/sashimi omakase. 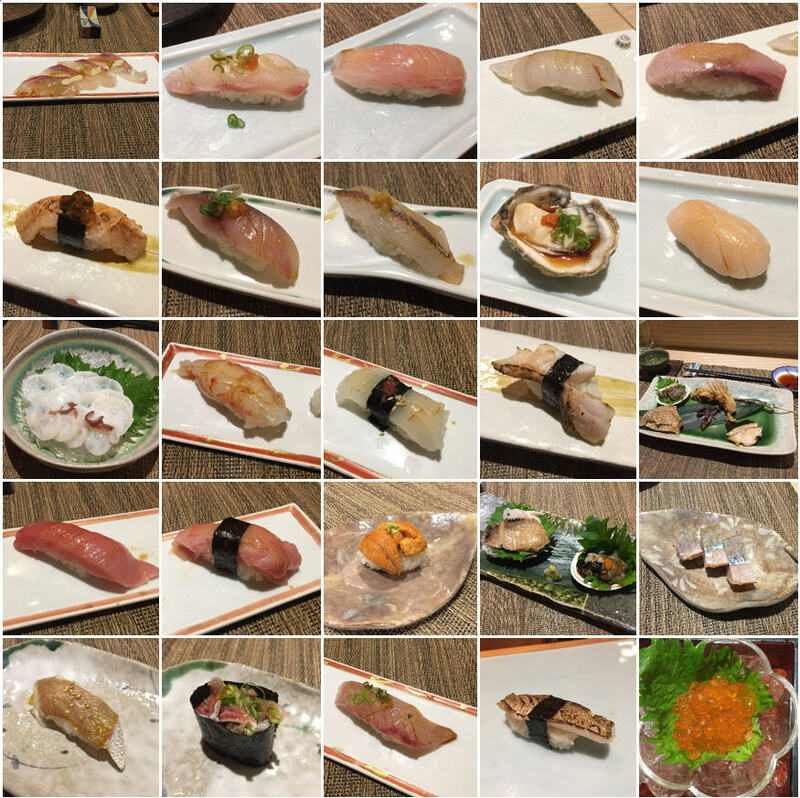 All the sushi/sashimi for the entire restaurant came from this sushi bar. 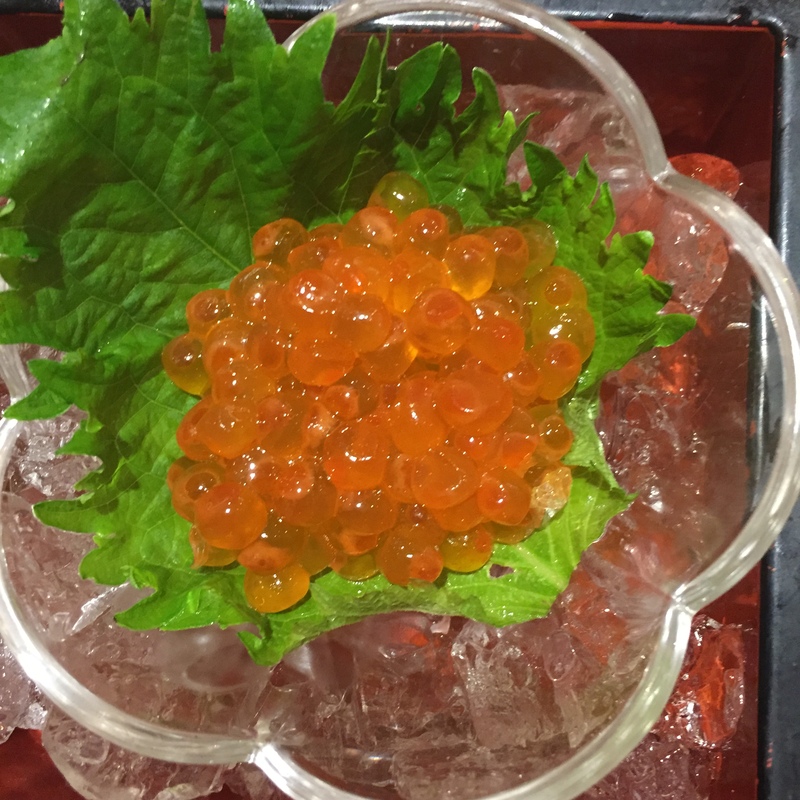 Head chef, Chef Makino prepared the omakase, while the sous chef prepared 90% of the platters for the main dining room. 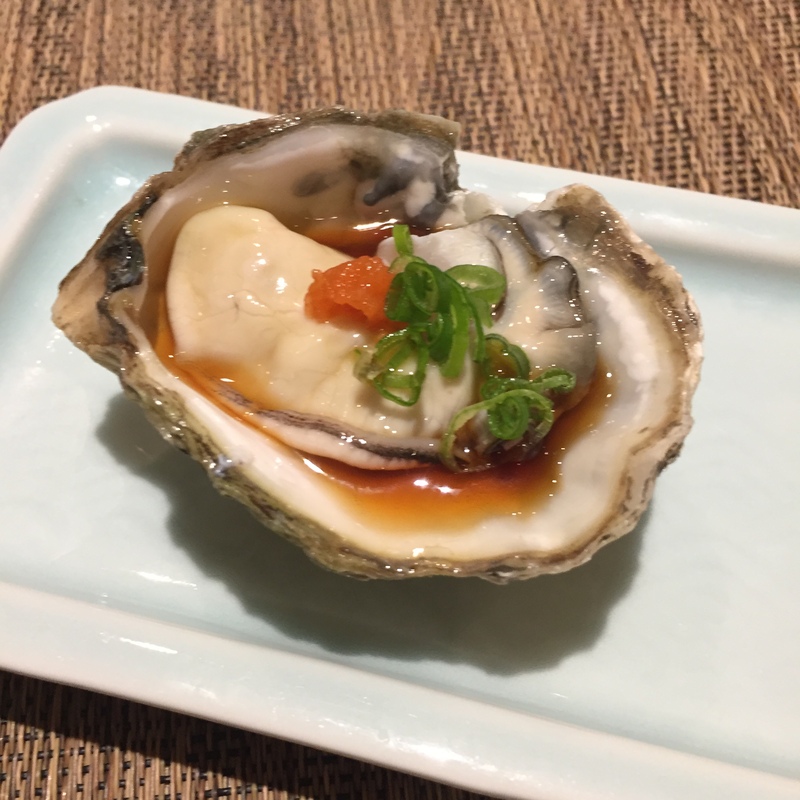 We were the only omakase patrons for the 2.5 hours that we were there. We didn’t see anyone else before us, joining us while we were there, or arriving as we departed. 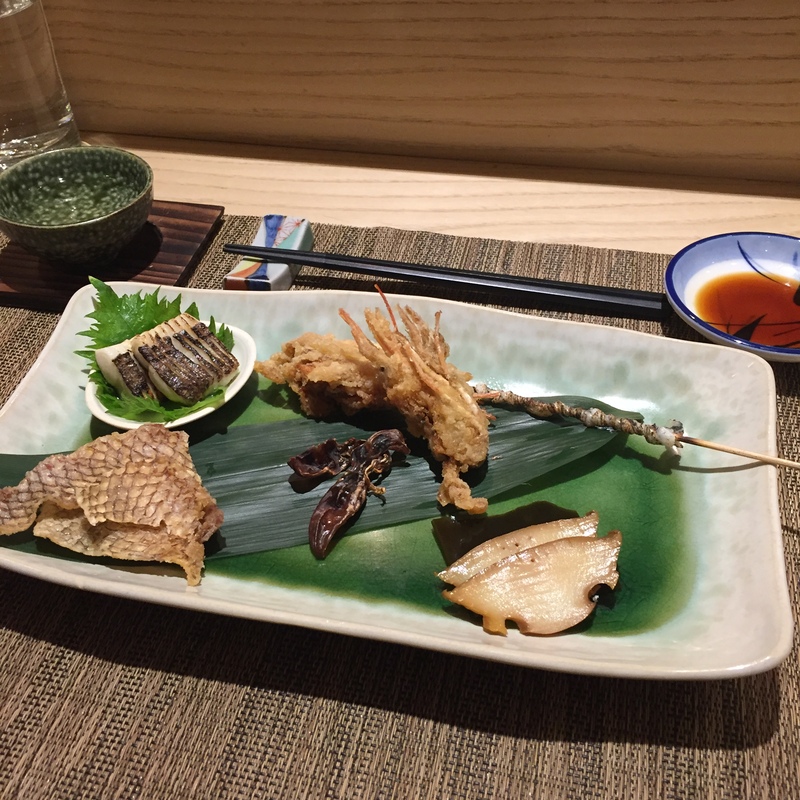 Chef Makino primarily only served us, but did prepare a piece or a platter here and there while he was spacing out our servings. Very nice man, chatty but not abundantly so, but still super friendly. He welcomed all questions, and fish chatter, and didn’t mind special requests. 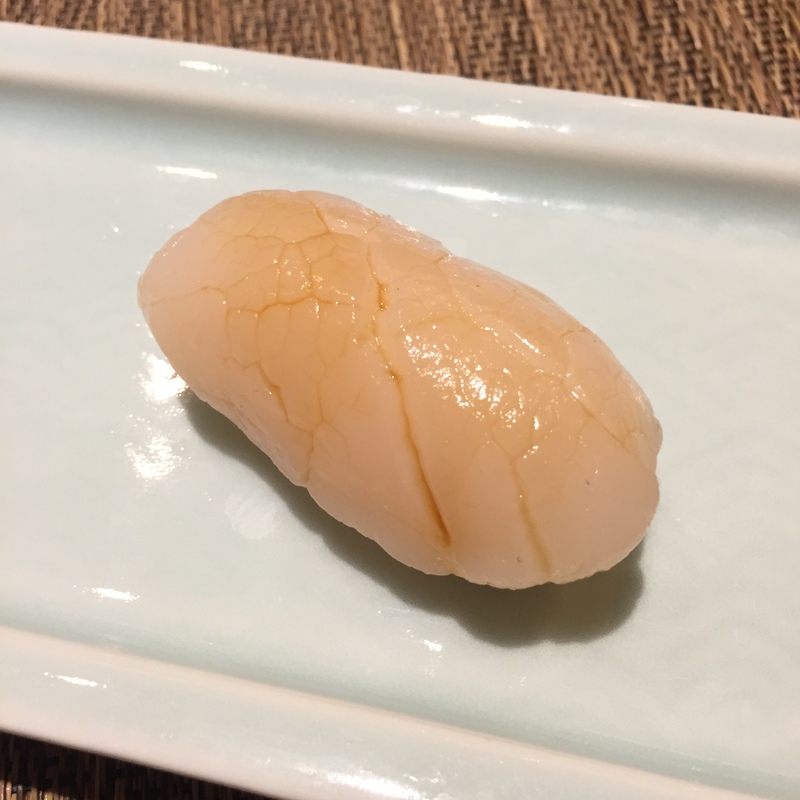 Which is much more than I can say for certain other chefs, such as “hurry up and eat so I can turn over your seats”, Chef Toshio Oguma of TANOSHI who would not entertain any chatter or questions, or, or “stone cold” Chef Kosugi of SOTO (who closed up shop and went back to Japan because President Trump won the election – no joke, he really said this during the election, and he really did close up shop), or ridiculously rude Chef Mitsunori Isoda of JEWEL BAKO (who would punish me with wasabi every time I didn’t eat all my monstrously large sushi). “Nice” is apparently not guaranteed. 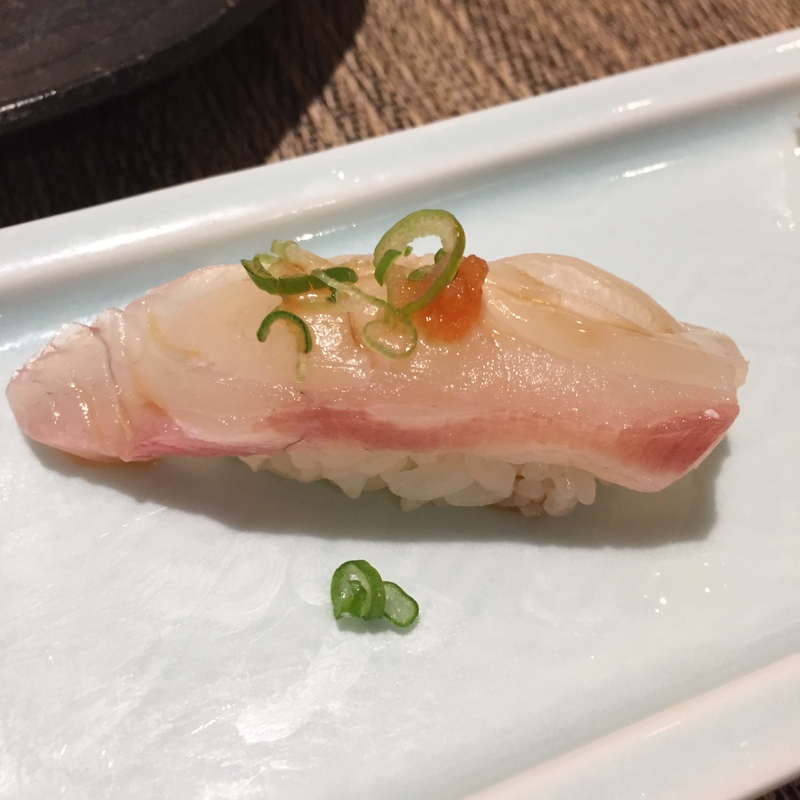 MADAI (Seabream) – Served with MOMIJI OROSHI (Grated Daikon Radish marinated with red chili peppers) and chopped scallions. 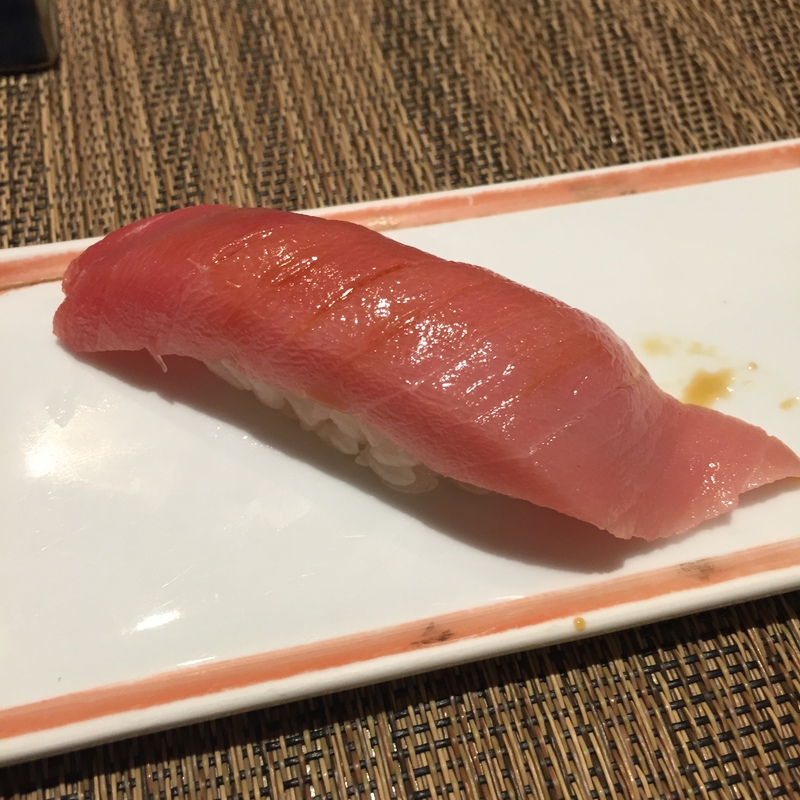 This was very good, very fresh. 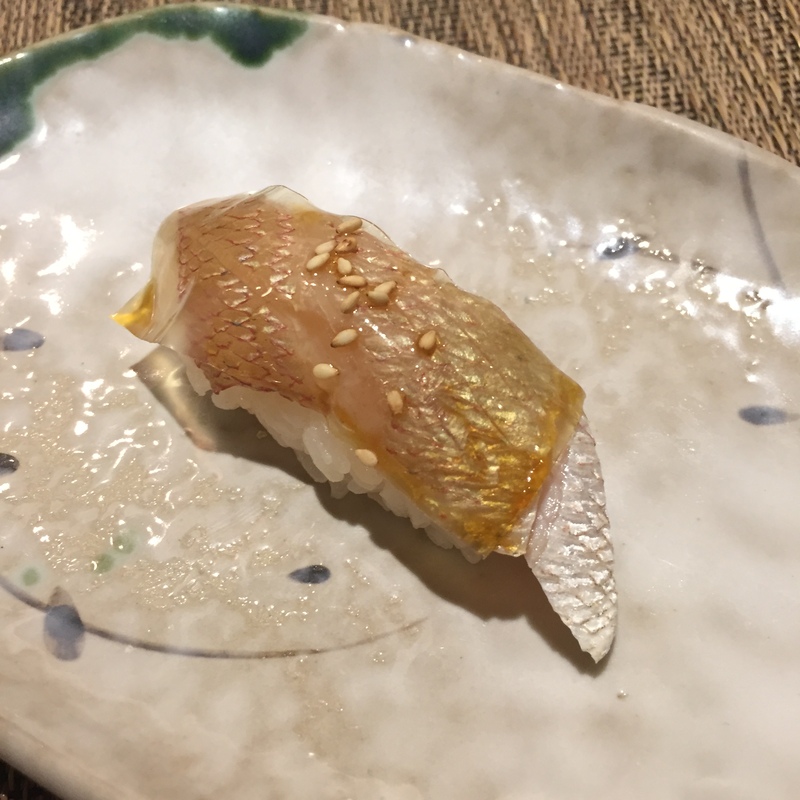 KINMEDAI (Golden Eye Snapper) – Served with just a touch of soy. 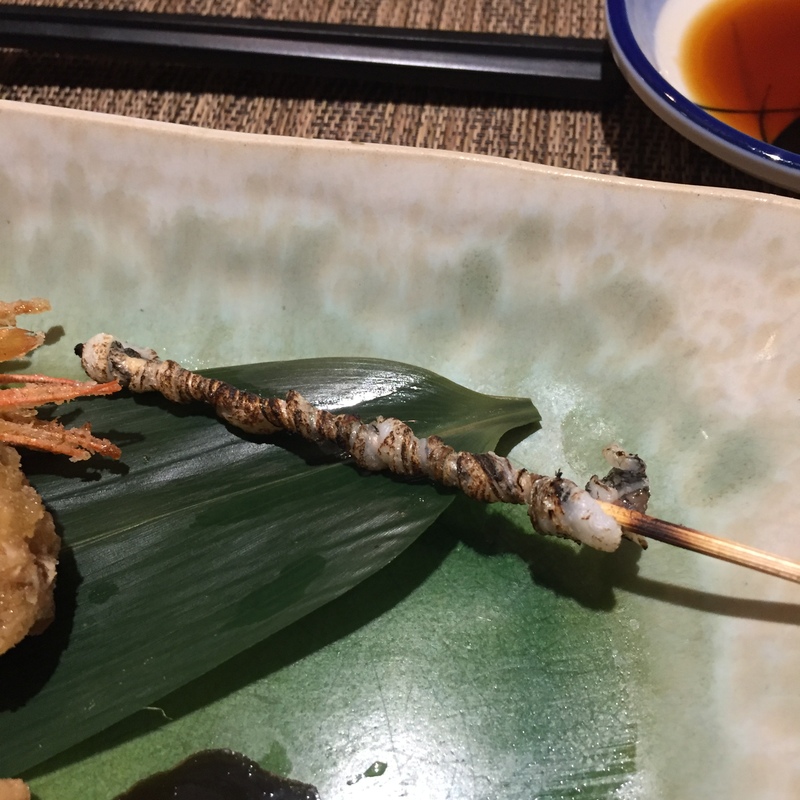 This was good but would have been better if ABURIed (torched) on the skin. 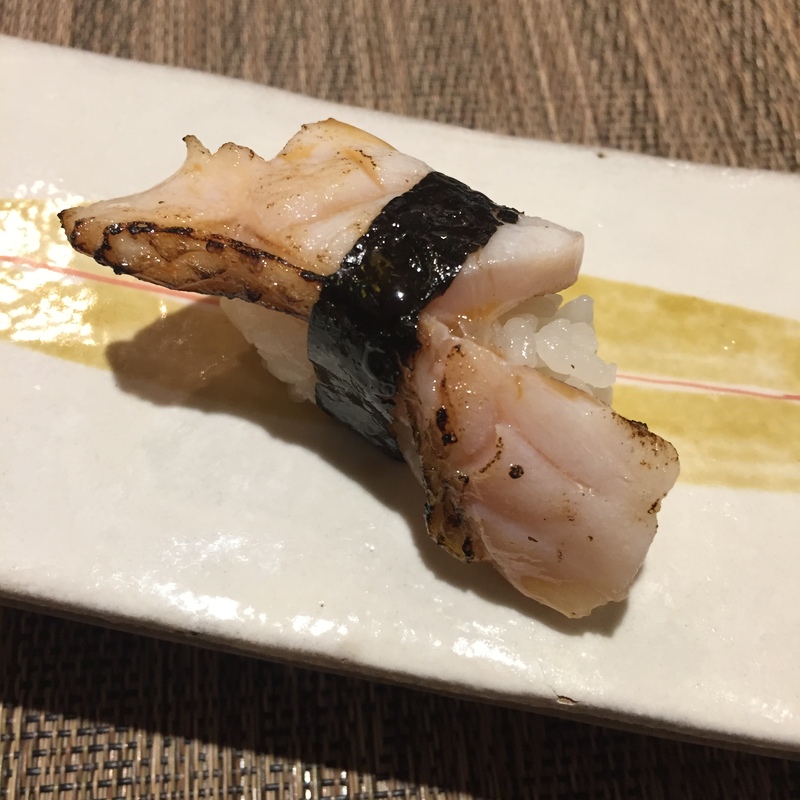 HUKO (Medium sized SUZUKI – Sea Bass) – This is a new one! I didn’t know there were new names for the different sizes of SUZUKI! 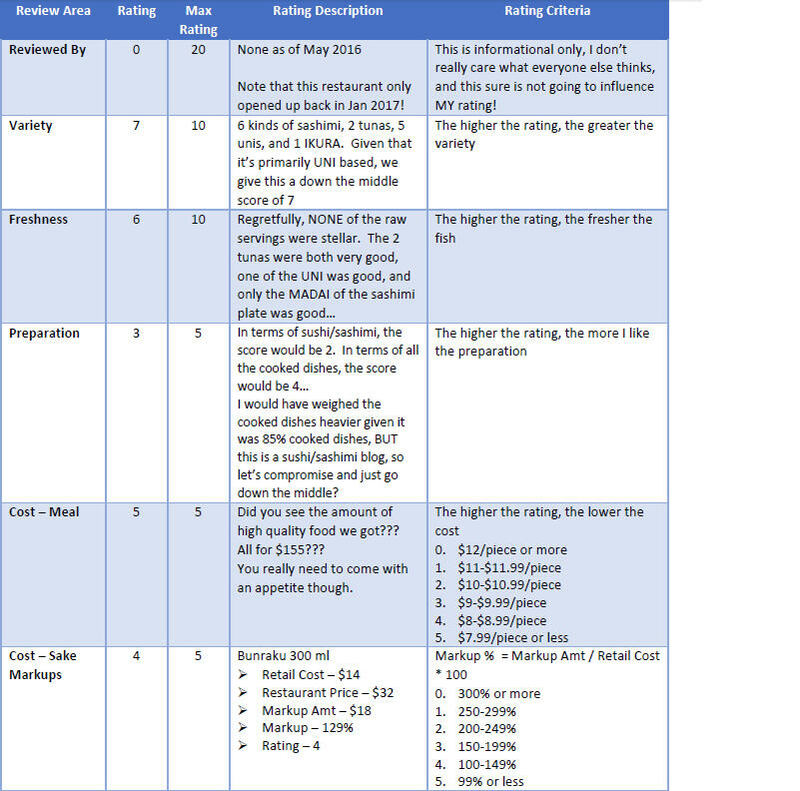 Nice, but a bit bland, I like big brother better. 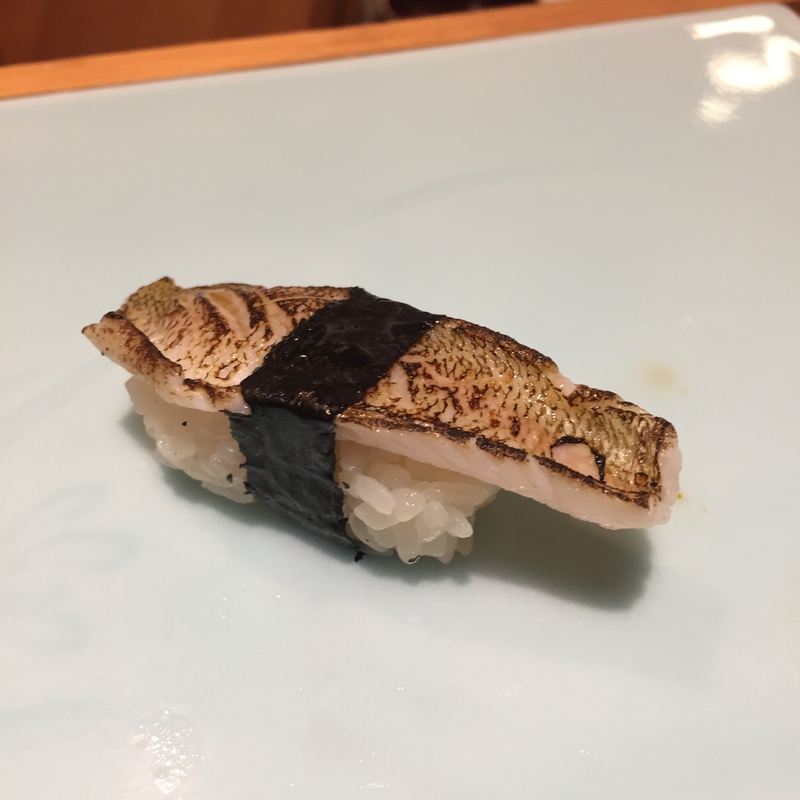 Could be the fish, the quality, or the preparation. My palate isn’t that discerning to tell. 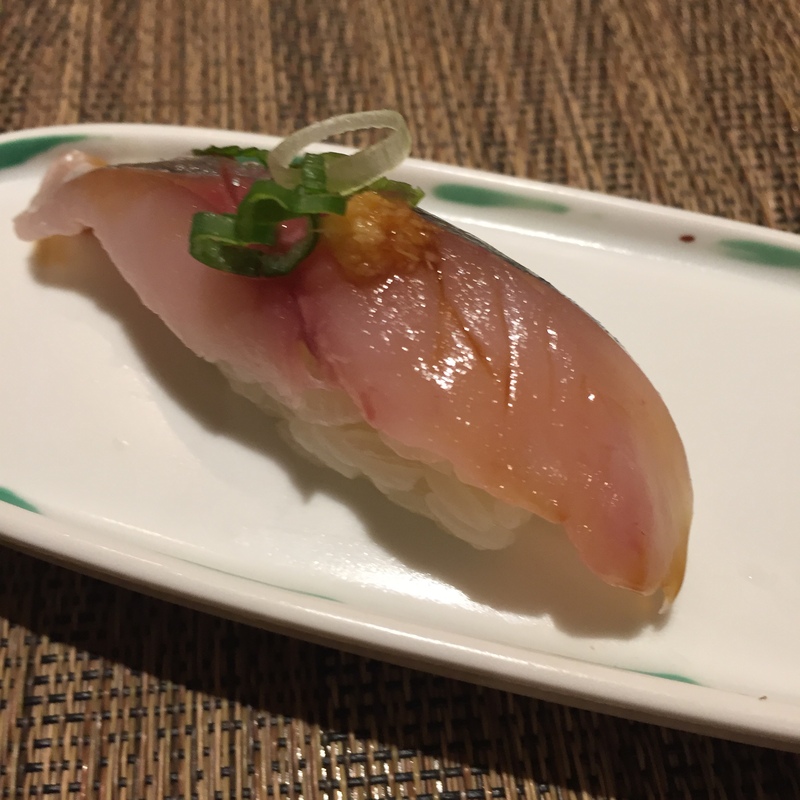 AJI (Japanese Mackerel) – Served with ground ginger and scallions, very good! 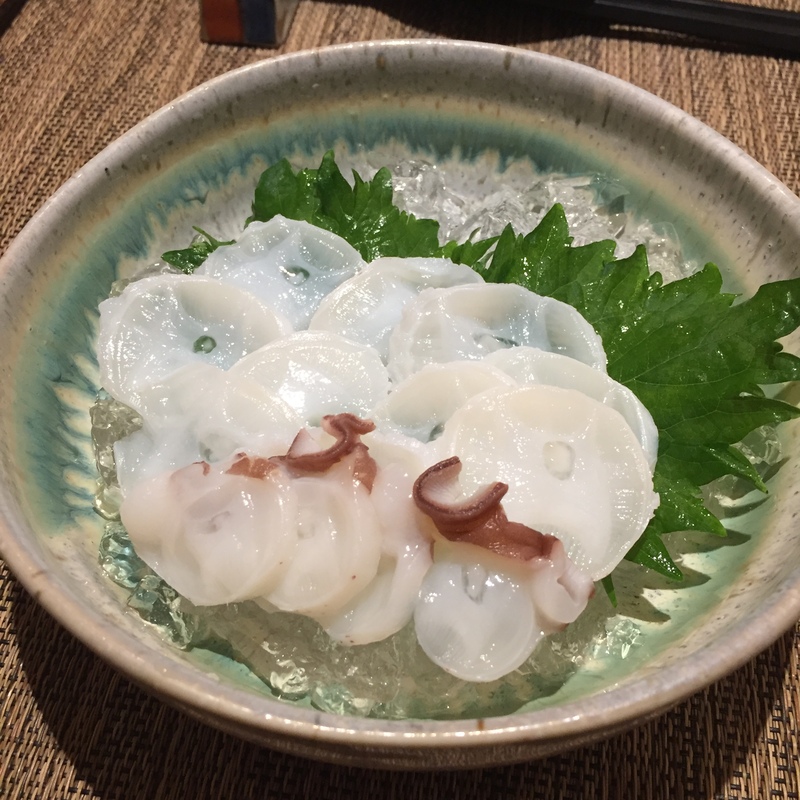 NAMADAKO (Live Octopus) – Thank you Chef Makino for making this super thin sashimi style! This huge serving was to share between the two of us, but I fought boyfriend and won, I probably only shared two slices with him. DELISH! 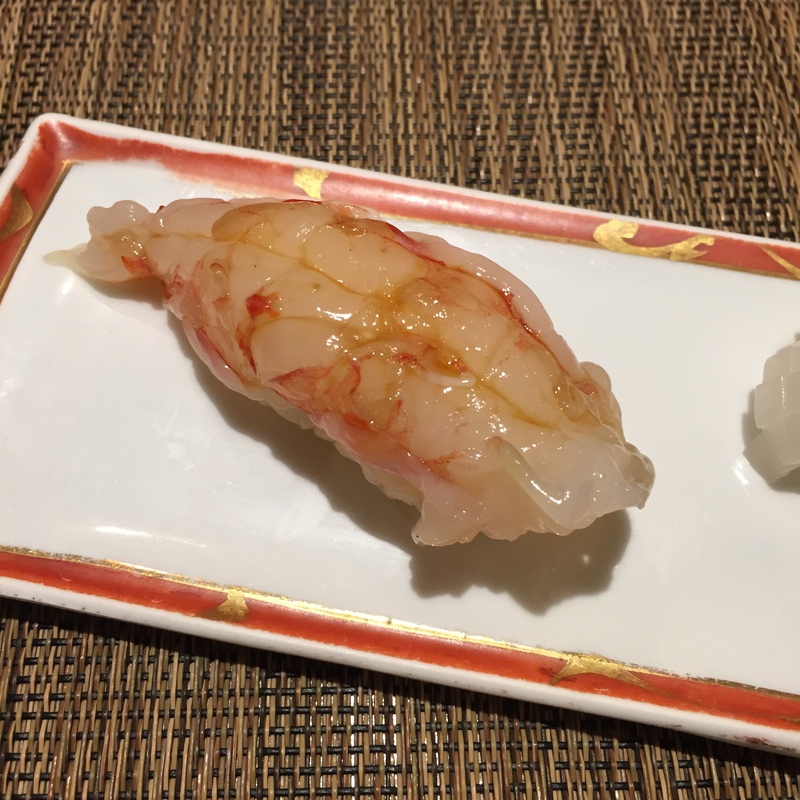 AKA EBI (Red Shrimp from HOKKAIDO) – This was so very good, but honestly, without a side by side, I don’t know the difference between this vs the BOTAN EBI. 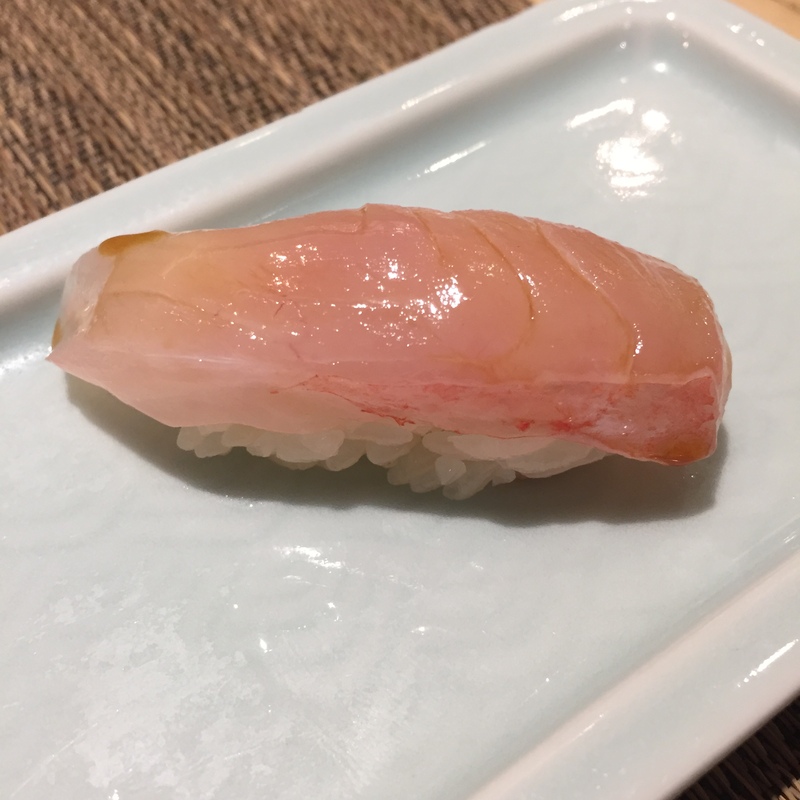 SHIRO IKA (White Squid) – This was so odd, I asked Chef Makino what kind of IKA was it, and he said SHIRO IKA, a white squid. 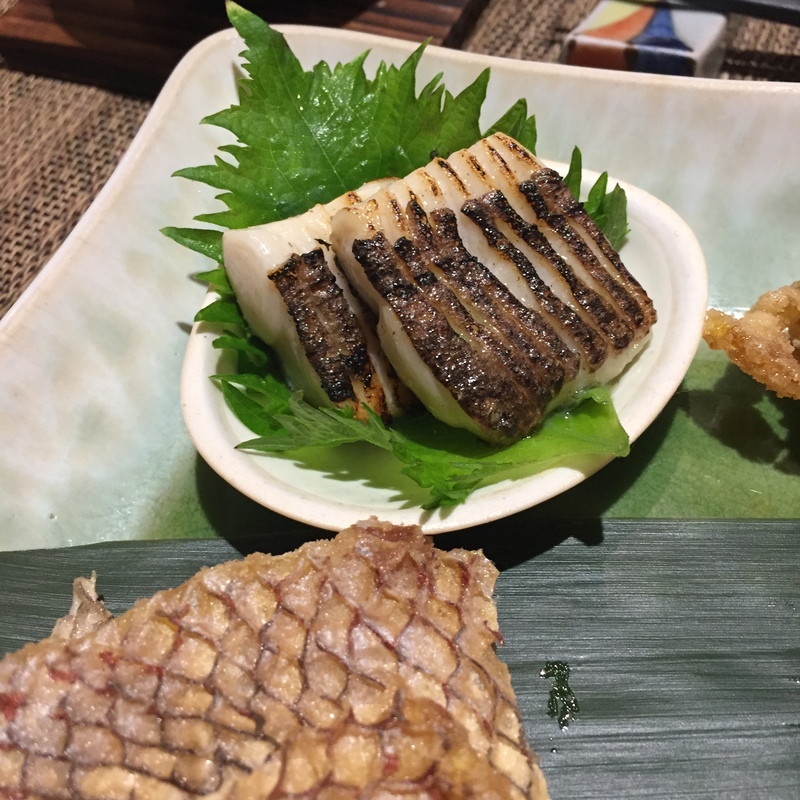 Short of the HOTARU IKA (firefly squid), almost all squids are white. So what kind is it really? I rattled off a bunch, but he insisted, ‘NO, SHIRO IKA’. 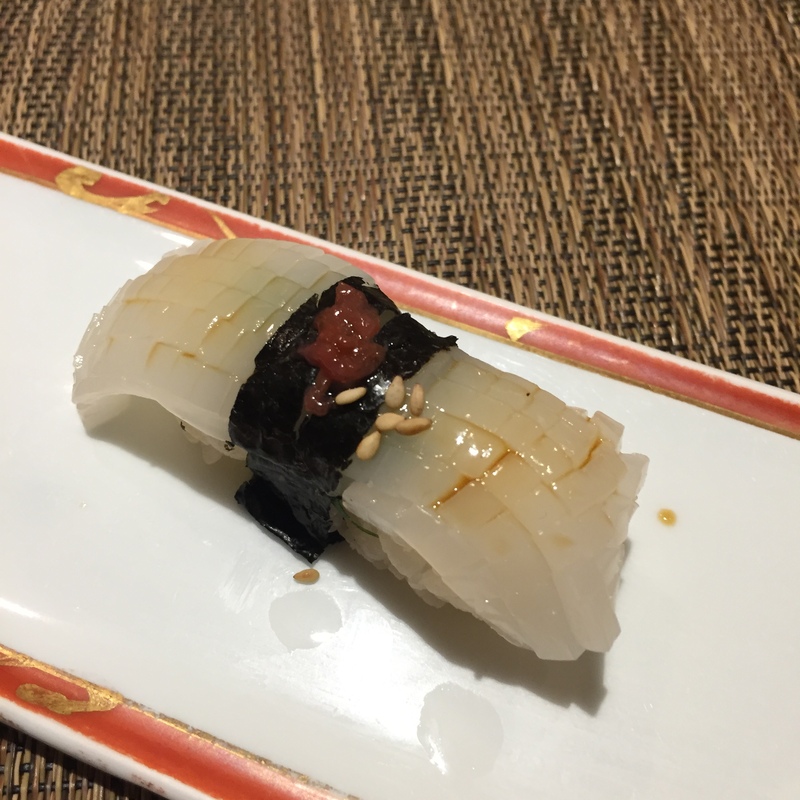 Whatever… This was really good though, served with SHISO, Soy, SESAME and plum paste, it was very good. Almost no chew too! 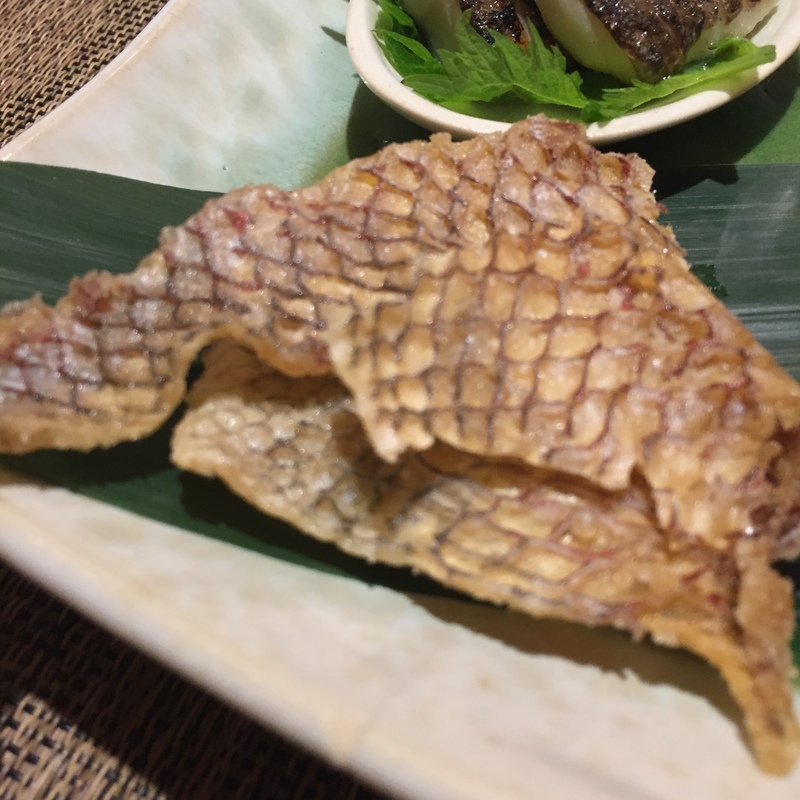 KINMEDAI Skin – Deep fried – scrumptious! 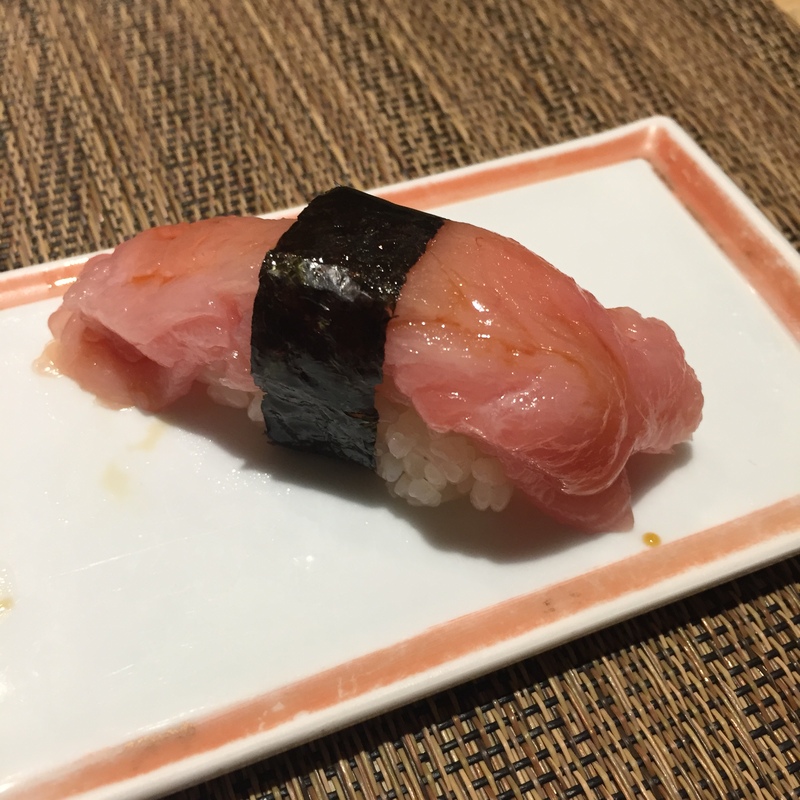 CHUTORO (Medium Fatty Tuna) – how beautiful is this! It was lovely, zero veins, zero chew, zero funky aftertaste tinge. YUM! 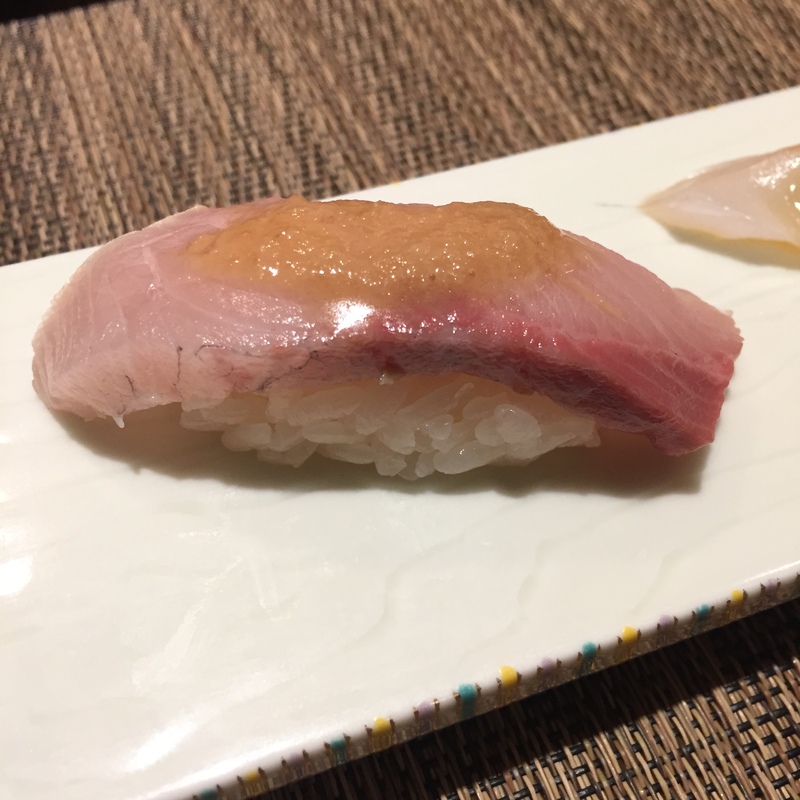 OTORO (Super Fatty Tuna) – Same as the CHUTORO, this was a fantastic cut. 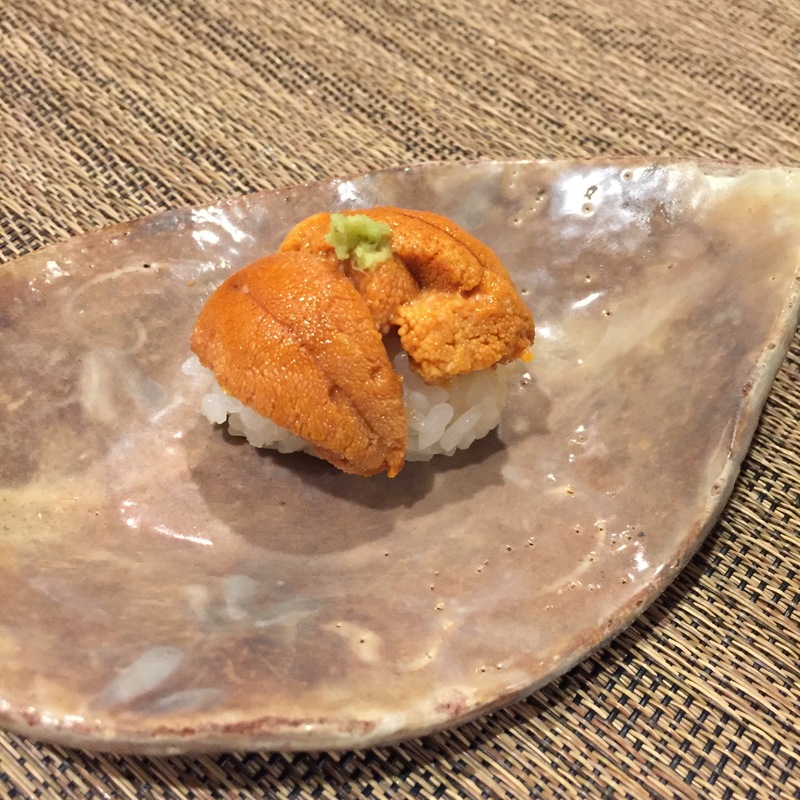 HOKKAIDO UNI – Really high quality UNI, but could the portion be any smaller? Are you kidding me??? 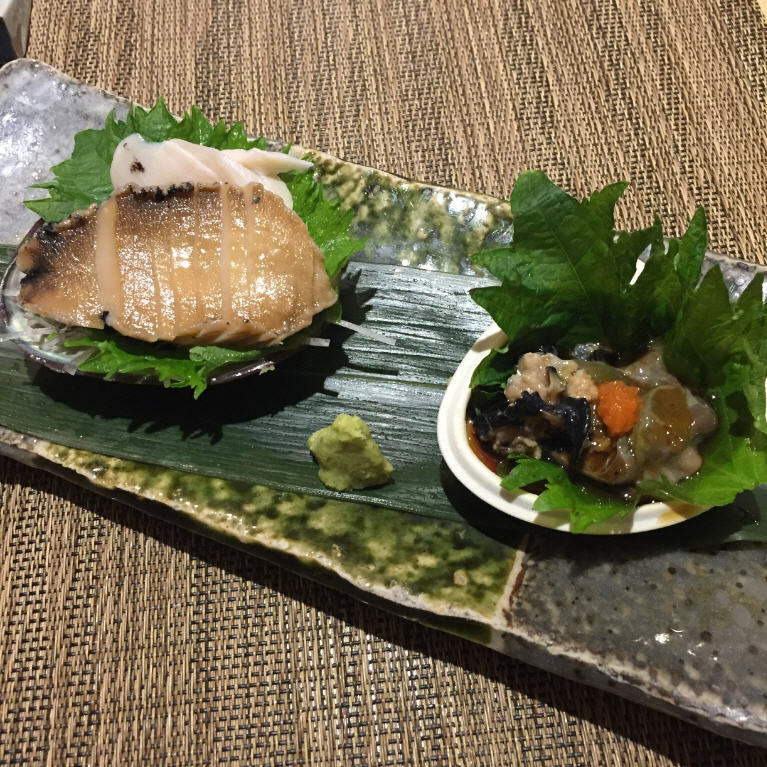 AWABI (Abalone) – This was FRESH, RAW, so much better than the simmered. This was a lot of work for the Chef though. We watched him clean it for a good 15 minutes. 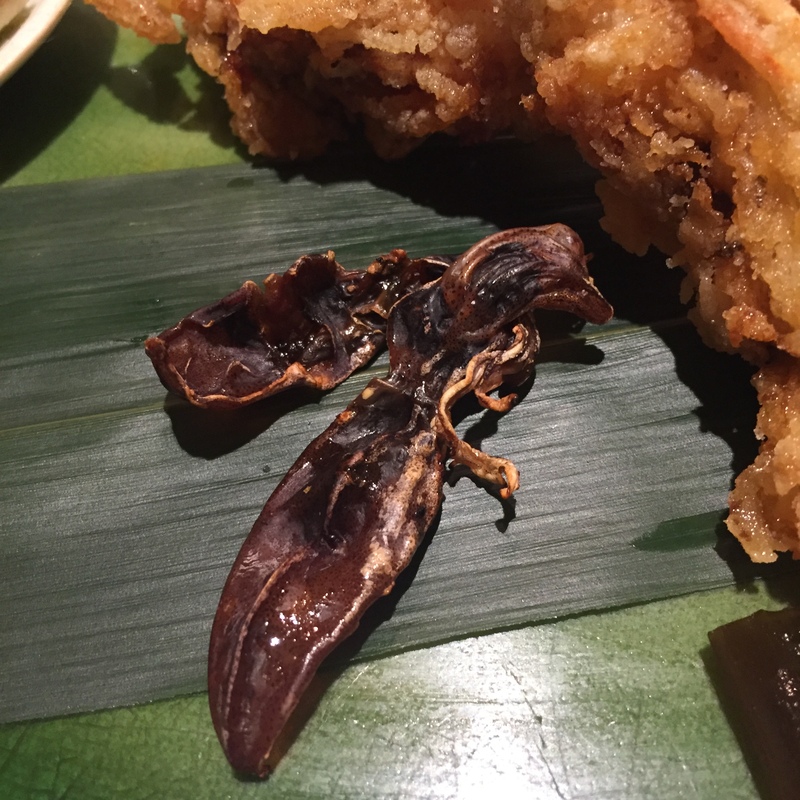 It was delicious though, thanks Chef! 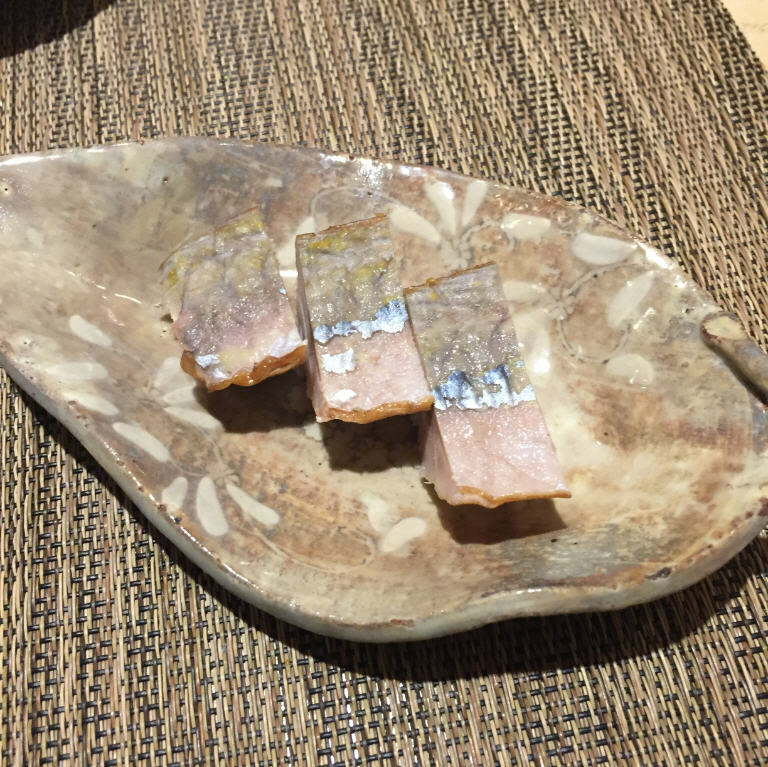 SABA (Mackerel) – Marinated and smoked. 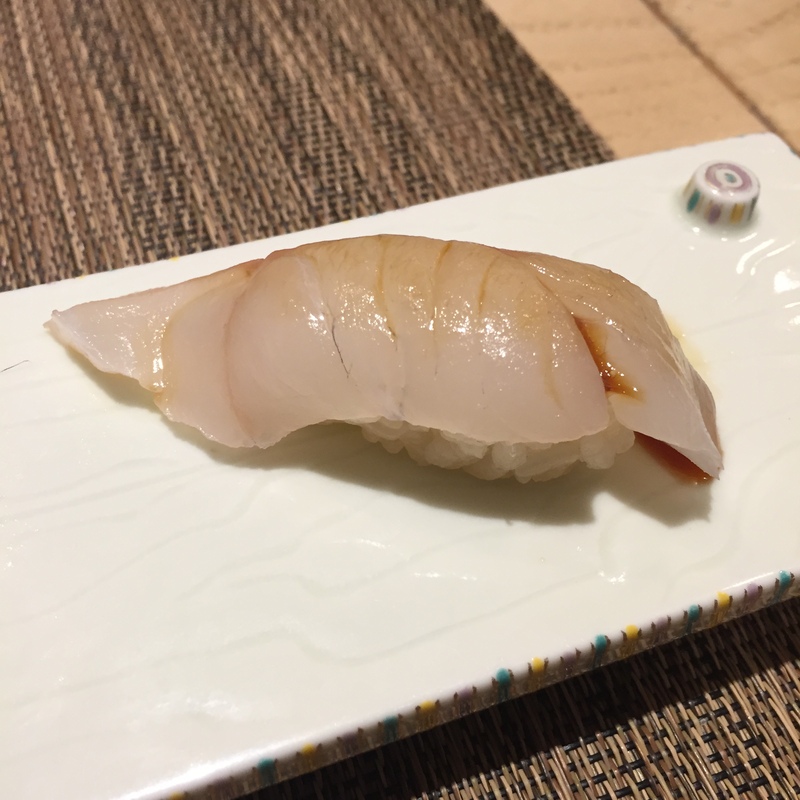 Chef said that this was good for SAKE. He doesn’t realize that unlike most, I don’t need to pair my SAKE with anything, it’s my drink of choice, every night of the week! Plus – I prefer raw, not smoked. 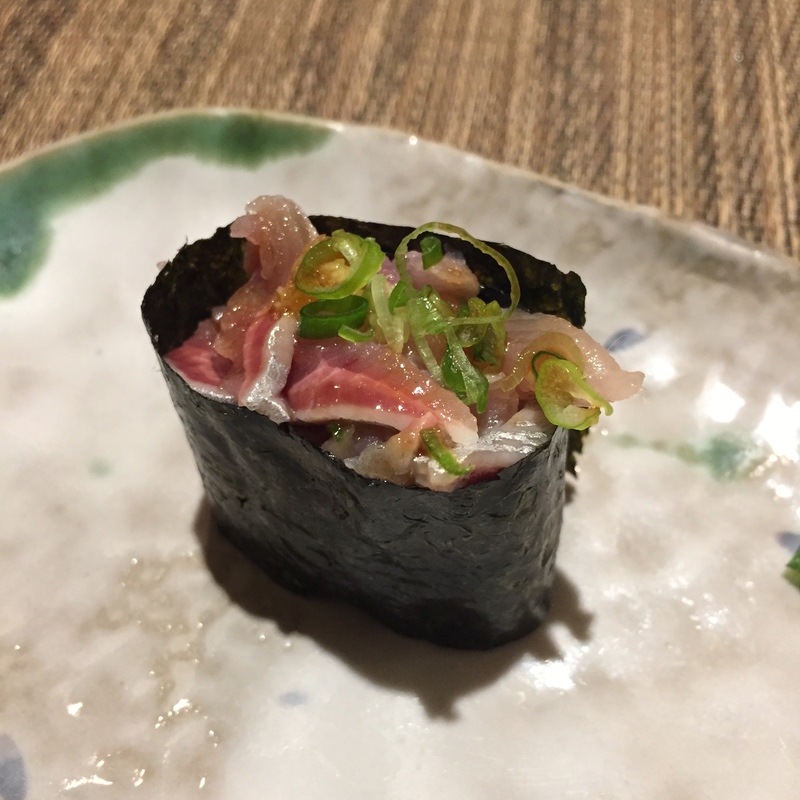 IWASHI (Japanese Sardine) –Chopped and served with grounded ginger and chopped scallions. 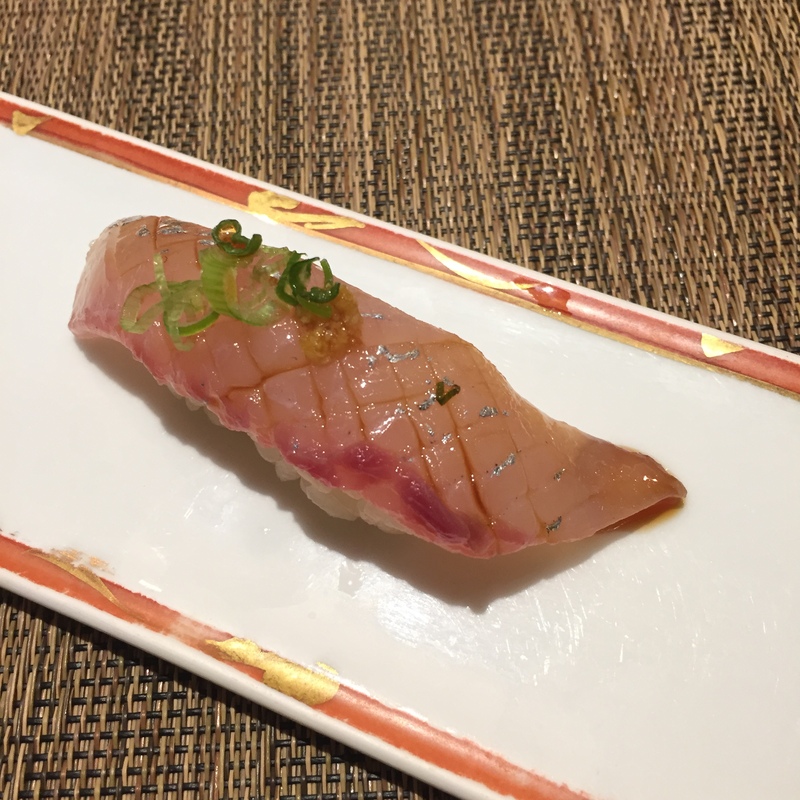 I am always a tiny bit skeptical when they chop it up thin, and add a bunch of ginger and scallions… I worry that they are covering something up. BUT – perhaps I should just stop being so cynical. It was good after all! 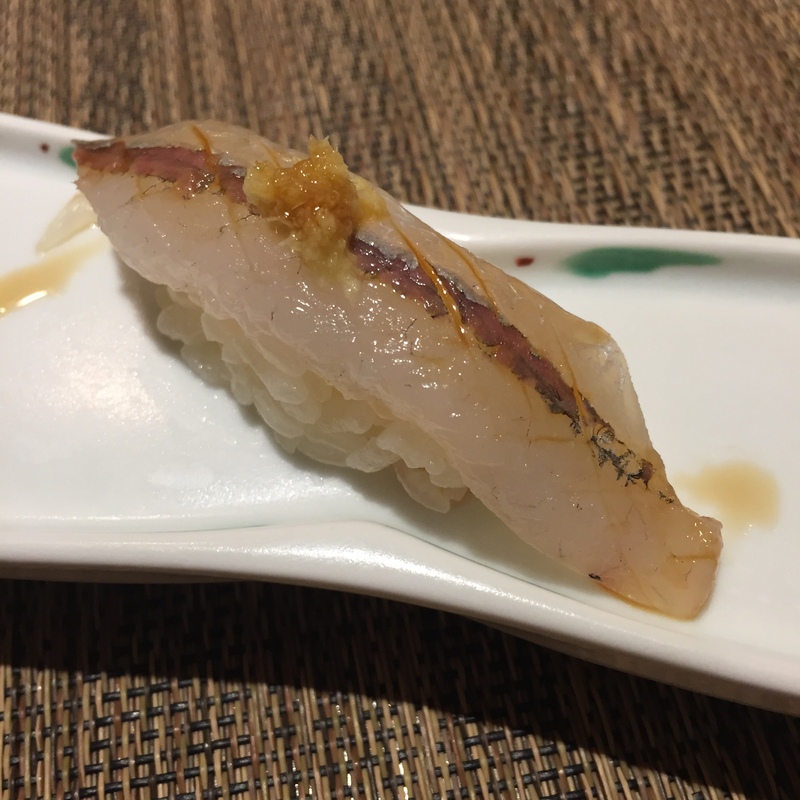 TOBIUO (Flying Fish) – This was the STAR of the night! 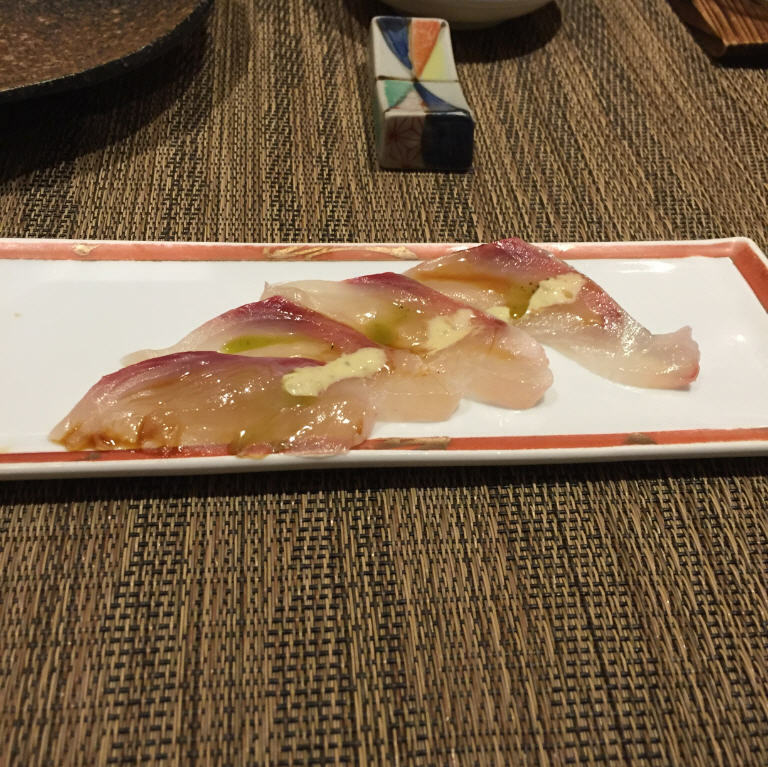 Chef was so happy to show and display this fish for us, in its whole body, with the fins out (flying). 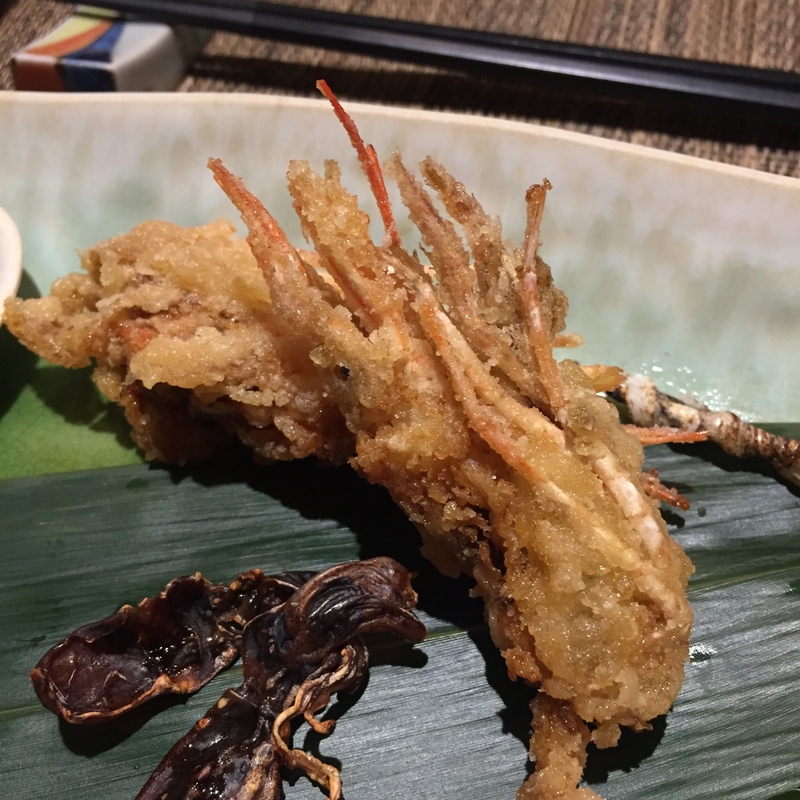 And just like the AWABI, this was an incredible amount of work for the chef. We are so happy that he did that for us, it is so rare to find in NYC and so fantastic.